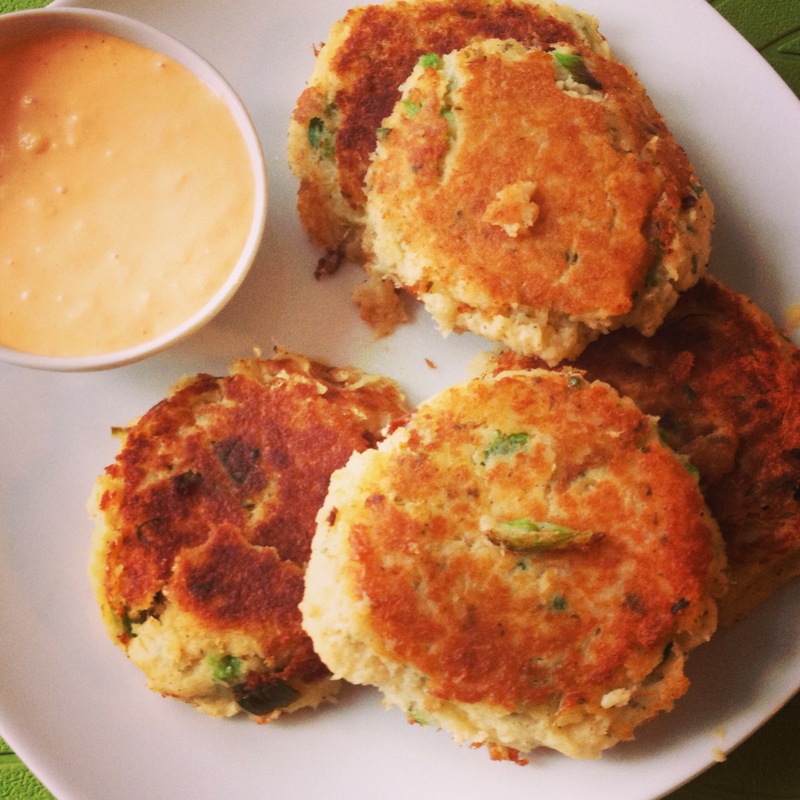 Remember when I first wrote about crab cakes, fish cakes and quinoa cakes? It’s so hard to believe that was two years ago. Time sure flies when you’re blogging! I also realize you saw these on Instagram like two months ago. Like I’ve said before… my blogging is backed up. Big time. So… I’m still a huge cake fan, but not the regular sweet kind of cake. I still have a hard time passing up a crab cake when it’s on any restaurant menu. Deliciousness. I’m really looking forward to going back into the archives and making my golden fish cakes, tandoori salmon cakes and quinoa patties again soon. They were all so good! Comfort food at its finest. Unfortunately I have yet to try my future father-in-law’s famous fish cakes. I’ve been hearing about them for almost six years! Maybe that’s what I’ll ask him for for Christmas this year. Recently, after making these delicious loaded potato skins, I had some mashed potato kicking around. So I decided to venture back into the world of crab cakes. I mostly made these up as I went along (fries cakes of any kind are not hard to do – it’s like making burger patties without the meat) but referenced three or four other recipes for ideas. Combine all ingredients and refrigerate for 30 minutes. Shape into patties. Fry in olive oil until golden on one side, then flip. Mix buffalo sauce with mayo. Serve cakes warm, with buffalo mayo for dipping.